Do you recognise this man with CLOVER? CLOVER is a Female Yorkshire Terrier Black And Grey (Age: Young Adult). Missing from Old farm road, Finchley, London, N2 area, South East on Monday, 24th July 2017. "We received a video from someone which included someone holding our dog in the Friern retail park, on Monday the 24th July. 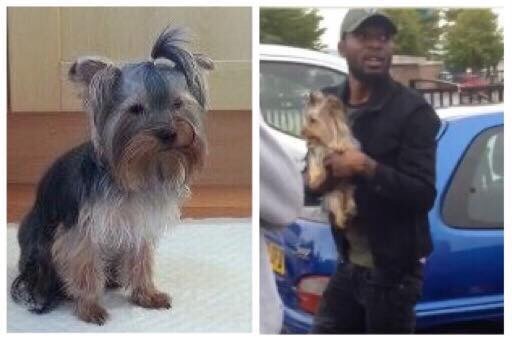 The person holding the dog has said that they were going to look after the dog until the owner is found. We have been given the all clear to upload and post pictures by the met police." Has she been sold on locally?